When you run Software Update on computers, you can choose whether updates are installed from Apple’s Software Update server or an internal software update server. 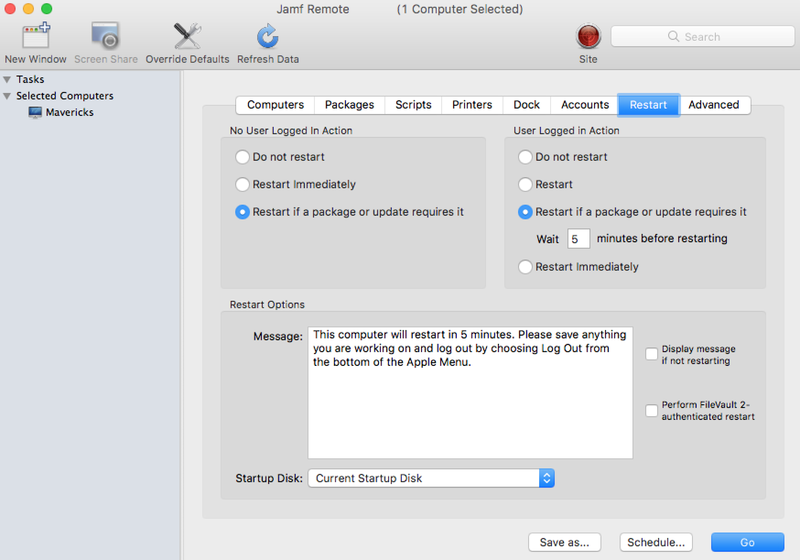 There are two ways to run Software Update on computers: using a policy or using Jamf Remote. 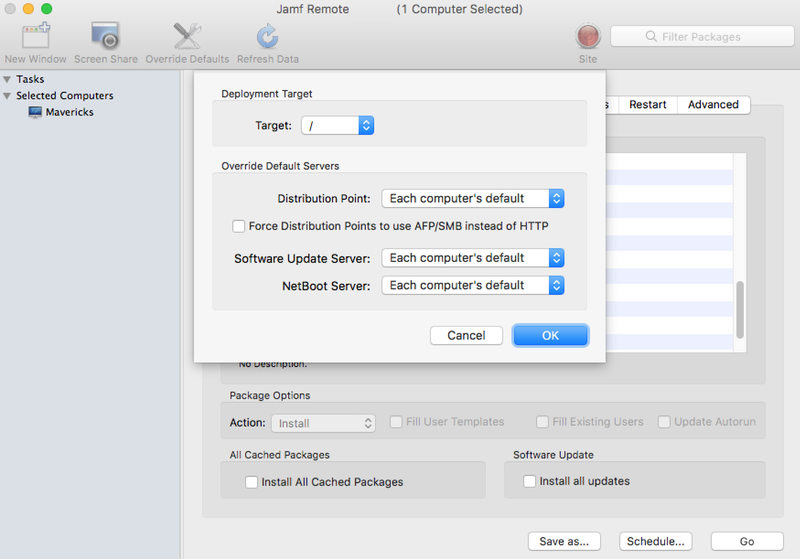 Select the Software Updates payload and click Configure. Specify a server for computers to install software updates from. 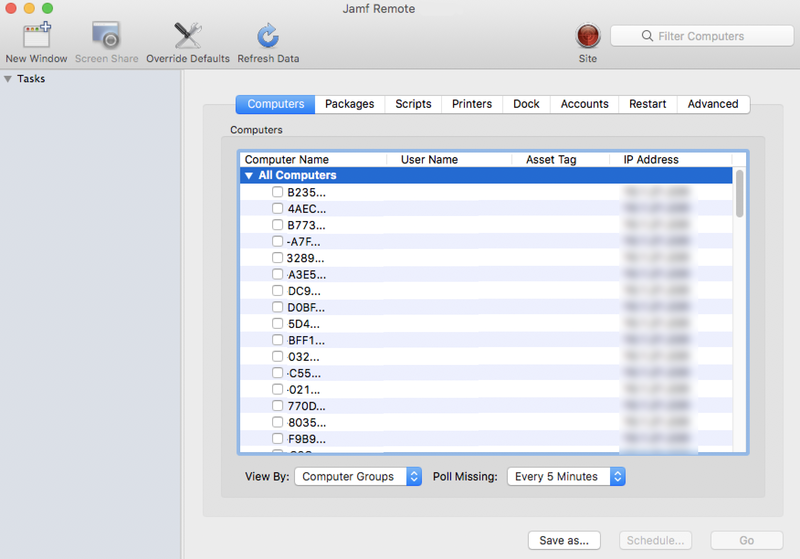 For more information, see Making Items Available to Users in Jamf Self Service for macOS . In the list of computers, select the checkbox for each computer on which you want to run Software Update. 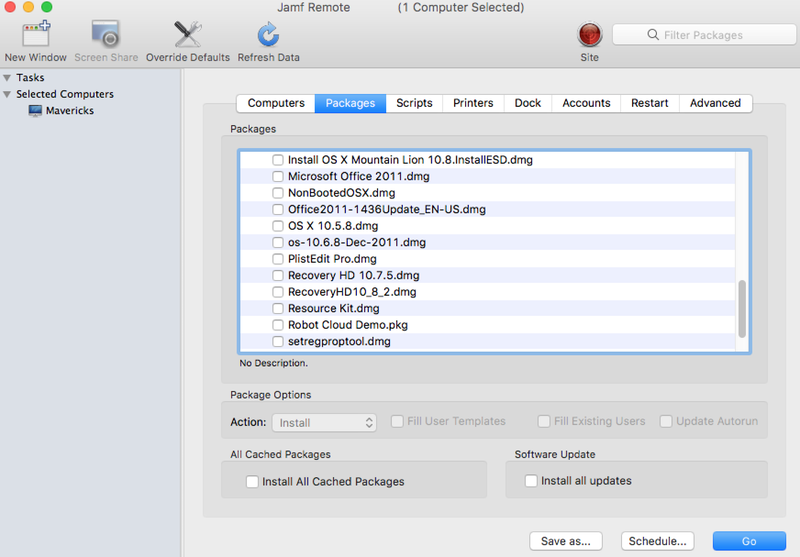 Select the Install all updates checkbox. If you want to change the software update server that computers download software updates from, click Override Defaults and choose a software update server.